The Haunting of Equestria - Now Available! 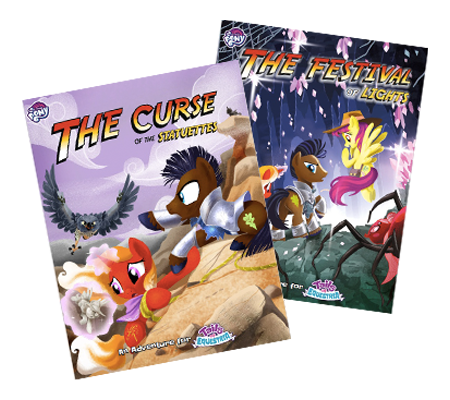 Now available, The Haunting of Equestria is the latest adventure in the Tails of Equestria range. It features familiar characters in a completely new scenario. This is the most epic Tails of Equestria adventure yet! https://riverhorse.eu/wp-content/uploads/2018/11/MLP_HOE_mockup-1.png 1569 2048 River Horse https://riverhorse.eu/wp-content/uploads/2018/07/RH_logo_trans.png River Horse2018-11-30 12:31:392018-11-30 12:31:39The Haunting of Equestria - Now Available! 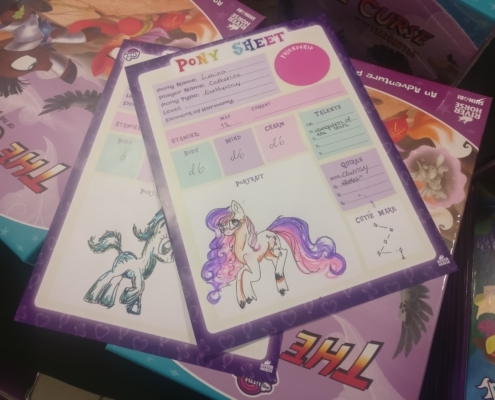 Part Two - Demo Games and Character Creation: following up on part one, Tails of Equestria writer Zak Barouh takes a look at the interesting ways kids create their own characters, learning lessons from running many demo games at events. 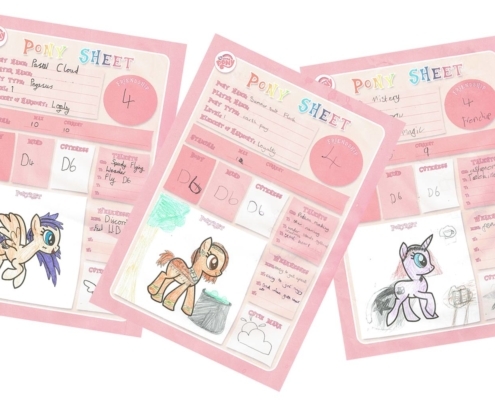 Part One - Introducing a world of imagination: having worked on the Tails of Equestria range for some time, River Horse employee Zak Barouh gives us his thoughts on the unique realm of RPGs for children and families. Preorder Now - The Haunting of Equestria! A brand new adventure in the Tails of Equestria range is now available to preorder: The Haunting of Equestria. https://riverhorse.eu/wp-content/uploads/2018/10/MLP_HOE_mockup.png 1825 2048 River Horse https://riverhorse.eu/wp-content/uploads/2018/07/RH_logo_trans.png River Horse2018-10-31 13:22:372018-11-02 13:53:07Preorder Now - The Haunting of Equestria!